About Our Company | Lighting Maintenance Inc. Lighting Maintenance Inc. services all areas of the lighting and electrical field. We construct and maintain roadway lighting, sports lighting, commercial lighting systems, traffic signals, and provide horizontal directional drilling and vacuum excavation services. 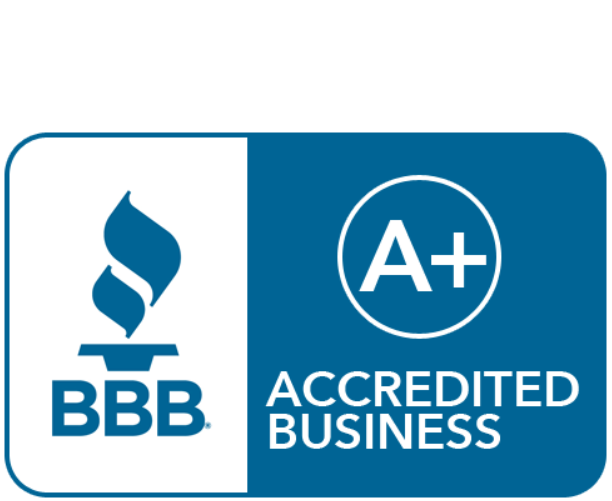 Founded in 1991, we are a family-owned electrical and lighting contractor that operates and maintains over 200,000 lights in the mid-Atlantic area. We serve commercial, retail, industrial and government sectors with lighting assessments, LED upgrades, and utility rebates as our specialty. Call us at 877.279.7373 or contact us online. We are a family owned-electrical contractor who designs, builds, maintains, and repairs systems and provides energy efficient lighting solutions. LMI serves commercial, retail, industrial and government sectors in the mid-Atlantic region. We combine the best equipment and trained personnel with unparalleled diagnostic experience to resolve your lighting and electrical challenges creatively and cost-effectively. Integrity – Being fair and sincere – applying strong ethics. Perseverance – We don’t give up – striving to satisfy our commitments. Respect – People and property – holding both in high regard. Learning through reflection – examining our successes and failures, always striving to learn and grow. Lighting Maintenance Inc. carries licenses in Virginia, Maryland, Washington DC, and Delaware. Lighting Maintenance Inc is currently 130 employees strong. Our staff includes Master and Journeyman electricians, CAD designers, Lighting Technicians, IMSA Level I, II, and III Traffic Signal Technicians, IMSA Roadway Lighting Technicians, Linemen, Apprentices, Helpers, and Equipment Operators. Our equipment/vehicle fleet has grown from a single truck in 1991 to over 227 in 2012. Lighting Maintenance Inc’s fleet includes Service Trucks, Vans, Pickups, Cranes, Bucket Trucks, Backhoes, Directional Drills, Vacuum Excavators, Digger Derricks, Dump Trucks, Attenuator Trucks (TMA), and Trenchers. Lighting Maintenance Inc (LMI) warrants its workmanship for the lifetime of the installation. Total Customer Satisfaction: If the Client is not totally satisfied with work product delivered by LMI and the deficiency is within the reasonable and direct control of LMI, LMI will return to the subject work site, arriving within 48 hours to remediate deficiencies specified in writing to the Client’s full satisfaction at no additional cost to Client. Workmanship Quality: All workmanship is 100% guaranteed for the lifetime of the installation. This warranty applies to the labor component only. Applicable product warranties are passed through from third party when product is purchased from LMI. The warranty will be null and void if failure is due to negligence, misuse, or abuse on the behalf of the Client and/or end Customer, acts of nature, or work is performed on subject system by a party other than LMI. 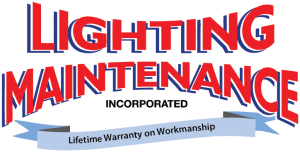 Lighting Maintenance Inc. warrants its workmanship for the lifetime of the installation. If the client is not totally satisfied with work product delivered by LMI and the deficiency is within the reasonable and direct control of LMI, we will return to the client’s work site, arriving within 48 hours to remediate deficiencies specified in writing to the Client’s full satisfaction at no additional cost to the client. All workmanship is 100% guaranteed for the lifetime of the installation. This warranty applies to the labor component only. Applicable product warranties are passed through from third party when the product is purchased from LMI. The warranty will be null and void if failure is due to negligence, misuse, or abuse on the behalf of the client and/or end customer, acts of God, or work is performed on subject system by a party other than LMI.